A subjective behavioural test that involves the presentation of various pitches and level of tones to determine the softest level the individual can hear. It provides information regarding the degree, type and configuration of the hearing loss. 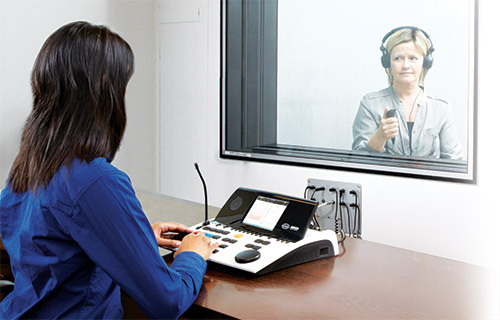 Part of the hearing assessment that involves presentation of pre-recorded or live voice speech material to measure the ability of the patient to perceive speech signals. An objective test of the middle ear function to assess the mobility of the eardrum and the conduction of the middle ear bones by creating variations of air pressure in the ear canal. Hearing loss that affects either the outer and/or the middle ear limiting the sounds to enter the inner ear or cochlea. It usually causes temporary hearing loss which can be addressed by prescribing medicines or performing surgery. Hearing loss that affects the cochlea of the inner ear. As the cochlea is responsible for converting sounds into neural signals to the brain, any damage to the cochlea can cause permanent hearing loss. Unfortunately, damage to the cochlea cannot be treated with medicine or surgery. Hearing loss that involves both the outer and/or external ear, and the inner ear. As the problem involves different parts of the ear, management may differ on a case by case basis. An ENT specialist and audiologist are essential in determining the most appropriate rehabilitation. Hearing loss that is brought about by the absence of or damage to the nerves that run from the inner ear towards the brain. The nerves serve as a passageway for neural signals to the brain and damage to these passageways may result in hearing loss and/ or difficulty understanding speech. NIHL is hearing loss caused by loud sound. Evidences of NIHL includes a history of exposure to loud sound and a hearing loss in a narrow range of frequencies, such as those from gunfire, power tools, explosions and night club music. NIHL is the consequence of overstimulation of the inner ear hair cells and supporting structures. Structural damage to hair cells (primarily the outer hair cells) will result in hearing loss that is characterised by an attenuation and distortion of incoming stimuli. Acoustic trauma: this refers to permanent cochlear damage from a one-time exposure to excessive sound pressure, such as an explosion. Gradually developing NIHL: refers to permanent cochlear damage from repeated exposure to loud sounds over a period of time, such as personal media players. Loud noise will exacerbate tinnitus. If one must shout to make themselves heard by someone standing 1 – 1.5 meters of you, the noise level is considered excessive. There are four main types of hearing protection, they are: Foam ear plugs, Pre-moulded plugs, Semi-aural devices and Ear muffs. Ear muffs or ear-plugs should be worn when activities such as mowing the lawn or using a chain saw are undertaken. Tinnitus, often called ‘head noises’ or ‘ear-ringing’, occurs when one hears a sound when no external physical sound is present. Tinnitus is not a disease; it is a symptom of a malfunction of the auditory system. It can be constant, intermittent, temporary or permanent. Over 50 different sounds have been reported by people with tinnitus. An undiagnosed medical problem, noise exposure, ear problems, viral infections, certain drugs and hearing loss are just some of the causes, making each individual case unique. Tinnitus characteristics and hearing thresholds vary among individuals. Therefore, a tinnitus reaction questionnaire (TRQ), audiological and tinnitus assessment is needed in order to gain a better understanding of the issue and help identify the most appropriate form of management. An audiological assessment identifies the degree of hearing loss in one or both ears and a tinnitus assessment involves matching the pitch and volume of a pure tone presented through the audiometer to the patient’s perceived tinnitus. Hearing aids: One of the first things to consider is whether to fit one or two hearing aids. It has been found that aiding even a minimal hearing loss can help provide tinnitus relief. Tinnitus maskers: Some patients find a white noise generator useful as a masker to provide temporary symptomatic relief, i.e. comfort while the masking effect is taking place. The appearance of this masker is quite similar to an open fit behind the ear hearing aid. Exposing the patient to low levels of background noise. It is believed that the low levels of background noise facilitate the habituation process. Cognitive Behavioural Therapy (CBT): CBT examines the patient’s thought patterns, emotions and behaviours and how these affect their experiences with tinnitus. This form of therapy is used in combination with sound stimulation therapies. And work together to promote habitation. Neuromonics: Neuromonics uses music for treatment of tinnitus in order to mask it. Noise generators: This involves using an external machine that emits, for example, a white noise at a level that just masks the tinnitus. This can provide people with immediate relief. 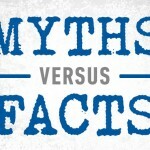 Noise generators are commonly used while sleeping to avoid being disturbed by the tinnitus. Diet: Dietary regimes are occasionally helpful. This should start with careful questioning to detect possible tinnitogenic components (e.g. caffeine), drinks or medication, and be followed by dietary exclusion trials to confirm or disprove the potentials benefits for that individual. Hypnotherapy and Alternative medicine: Hypnotherapeutic techniques can be of indirect help, by aiding relaxation. Methods of alternative medicine, including acupuncture and herbal preparations, only rarely seem to have any beneficial effect on tinnitus, but can be of worthwhile supportive value if the patient believes they are helping. Drugs: Specific drugs for treatment of chronic tinnitus that are both frequently effective and non-toxic have yet to be developed, but research continues. However, sedatives or anti-depressants are quite often needed to treat the psychological state of the patient as a result of the tinnitus.